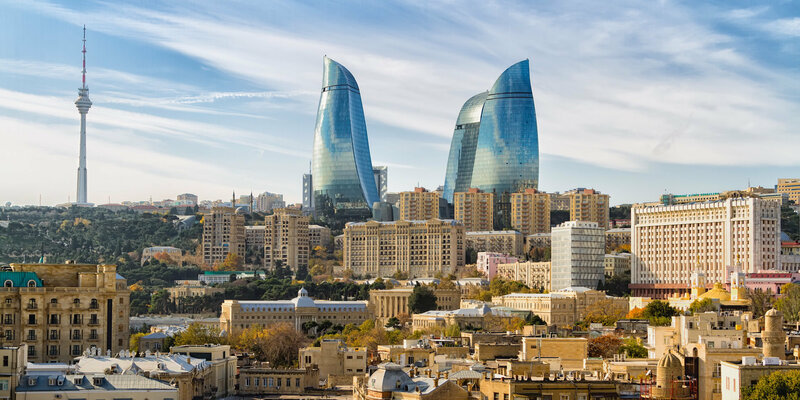 The capital city of Azerbaijan, Baku is an old city with a rich and layered past from its Persian roots to the Soviet occupation. This city is also the biggest cultural center in Azerbaijan where the first theater was built, the first opera was performed and the first library was opened. Renowned as the City of Winds, the city is a blend of modern Eurasia, ancient alleys, and historic buildings, including the Palace of the Shirvanshahs and the Maiden Tower, now listed among UNESCO's World Heritage Sites. The sandstone palace complex was the remnants of Northeastern Azerbaijan’s ruling dynasty during the Middle Ages. Go at night to Flame Towers to get a taste of Baku's contemporary architectural signature, with hypnotizing lights of luminous blue-glass skyscrapers.